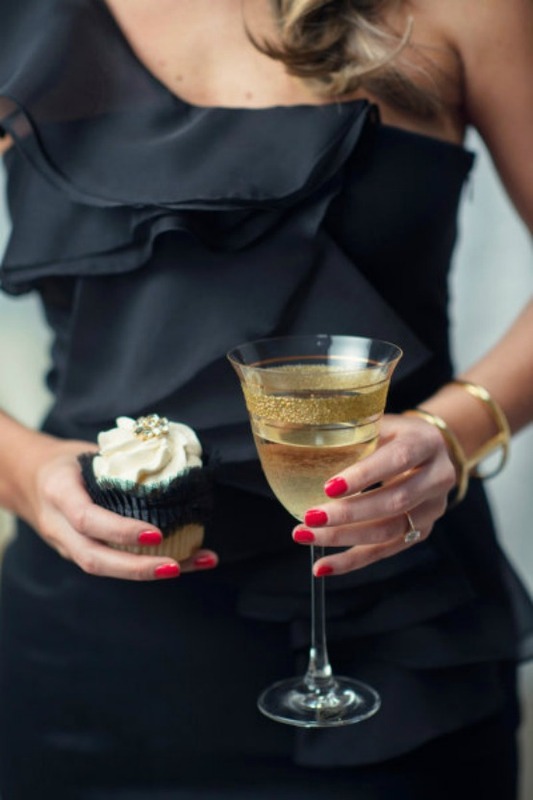 Let's pop the champagne and eat an absurd number of some cupcakes! The two images above really needed their own perfect pair, but I couldn't resist using them in this post. Don't they just make you want to blow a noise maker and throw confetti in the air?! I shared a few favorite dress looks for NYE last week, but decided to switch things up today and put together a very chic look centered around some hot little red pants. Ooh la la! Those cupcakes with the can-can girls' legs are the cutest! The perfect amount of sequins paired with fire engine red pants - love it! Gorgeous! I love the outfit and I love love love the black dress in the first photo! So pretty! Hope you have a great one love! I love, love, love this outfit!!!! Gorgeous. Beautiful pictures. Love that outfit you put together. I need that blouse! omgosh! that dress in the first photo is to die for! i have to find it somewhere!!! that polkadot sparkle top is perfection! good find pretty lady! happy holidays! THOSE CUPCAKES WITH THE CANCAN LEGS!? Amazing! 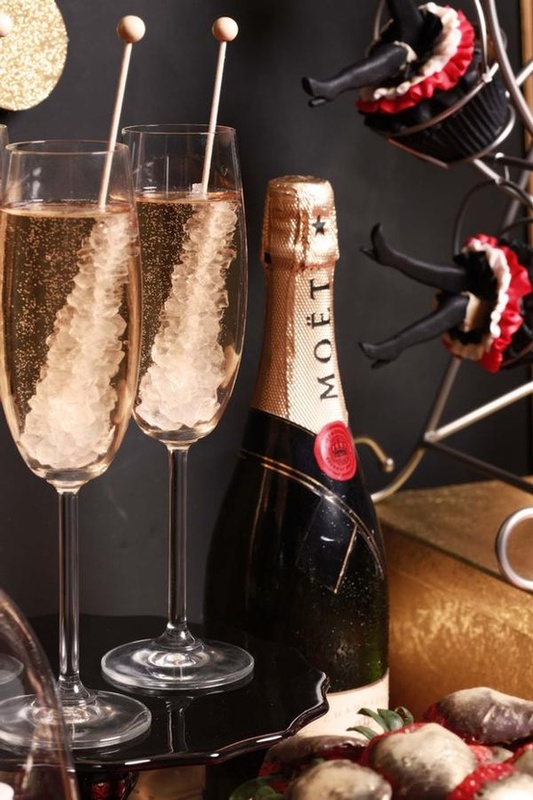 How cute is the rock candy in the champagne! love the polka dots and the red pumps!